Cost : £15 / £5 under 16s. To buy or reserve tickets please contact the Box Office either by email or telephone. 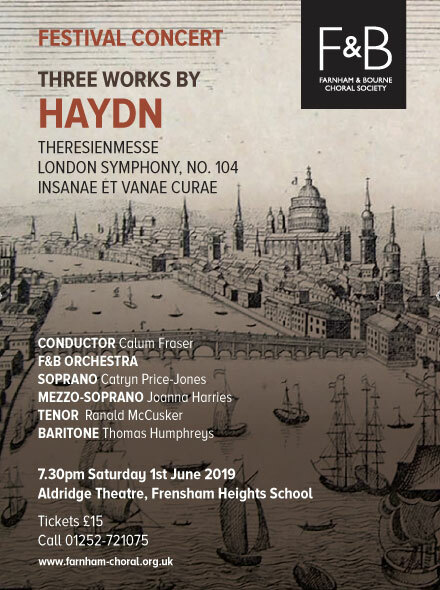 The tickets can be collected and paid for on the night of the concert or, if you prefer, they can be sent to you in the post when payment is received. Choir Members: You can also obtain tickets from any choir member. On the Door: If still available, tickets can be purchased on the door. 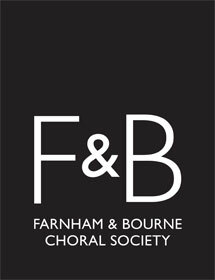 If you would like to sponsor the concert, or a soloist, or advertise your business or event in the concert programme, please contact us at friends@farnham-choral.org.uk.